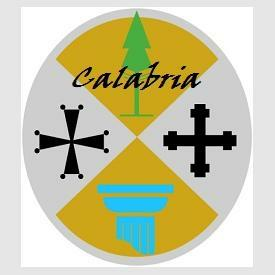 At 240 meters above sea level, perched on the hill of St. Nicholas, between the Gulf of Squillace and Punta Stilo is one of Calabria's most charming and well preserved medieval towns: the old Vadulatu ( old Badolato). 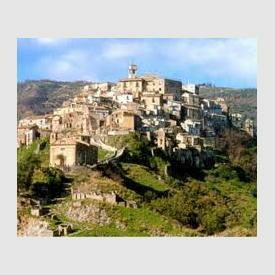 Its history is ancient, the village has always been at the center of the political events of powerful noble families like the Borgias, Ruffo, the Toraldo, the Ravaschieri. Its location is strategic: to the west is protected by the Serre Mountains, and by deep high cliffs on the south, east and north, overlooking the clear blue Ionian Sea, offering visitors a breathtaking view. 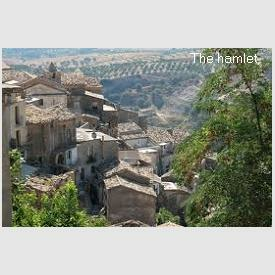 The striking color effect produced by olive groves, vineyards, other typical Mediterranean crops and the deep color of the sea, makes it a unique stage of atmosphere that has fascinated, even in modern times, scholars, artists and intellectuals who have chosen the hamlet as their home. 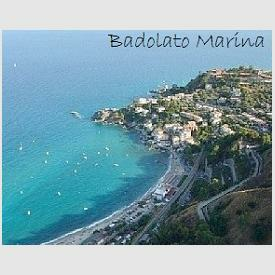 Badolato is also the home of the Cossari family who has for years, been producing one of Italy's best olive oil. The olive groves spread from the hills of the Serre to and around the old town, in the heart of what was once known as the " Magna Grecia". The family still grows and tend to the olive trees (3000 trees, many of them centuries old) with passion and love for quality and protection of their land. Always committed to respecting nature and the environment, in 2003 the Azienda Cossari embraced organic farming with the main objective of protecting the health of consumers, the welfare of their employees and the community. 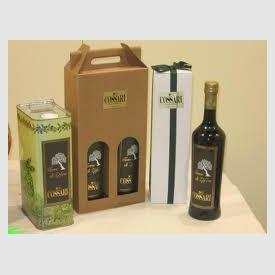 The Cossari azienda produces four types of extra vergin olive oil. Lands of Zephyr, mono cultivar Carolea-100% organic. Lands of Polejo, mono cultivar Grossa di Gerace. Badolato, mix Carolea and Grossa di Gerace. Taste : sweet, savory, pleasantly spicy, with a clear perception of bitter and slightly astringent, full and persistent. Aftertaste: almond and artichoke. Colour: golden yellow with light greenish reflections. Aroma: fairly intense, with scents of wild herbs a little 'grapes, thistle and mild fresh vegetables. Available in glass bottles and tin can. 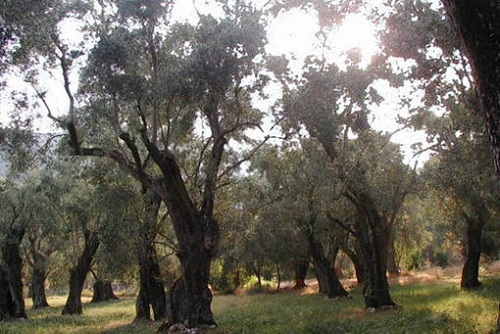 The type of olive, Carolea and Grossa di Gerace cultivars are native of Calabria, in particular Carolea which is present only in the province of Catanzaro, while the Grossa di Gerace is widely distributed thought the province. The Leccino is typically present in Tuscany and Umbria, but it is also very common on the foothills of the Calabrian Serre. 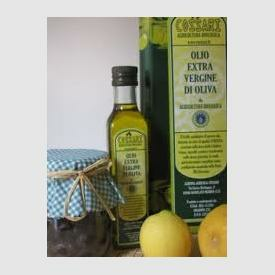 Awards and accolades: Slow Food award as one of the best Italian EVOO. The label "Terre di Zefiro" Cossari Company was also selected by the Academy of Oil for 15 ° Master Olive Oil Sommelier qualification. The event is held every year at the headquarters of the Academy in Florence. The Italian Sommelier Association of Oil and the Oil Academy, represents in Europe one of the main institutional players involved in the dissemination of culture of extra virgin olive oil (and wines). Every year hundreds of students from all over the world enter the premises of Pontevecchio in Florence, for the coveted title of Sommelier Oil and to become ambassadors in their countries of origin. 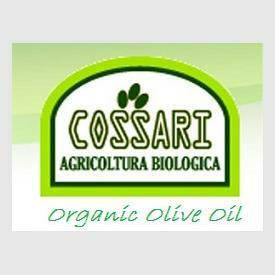 What they say about the Cossari olive oil. The extraordinary nature of the" Land of Zephyr "comes from its simplicity, is an organic oil cold extracted from a single cultivar Carolea that gives a fresh, sweet savory, fruity where the thistle and almond blend very well. I was looking for an organic mediterranean olive oil flavor that would enhance not alter my cooking and this oil responds fully to my expectations. 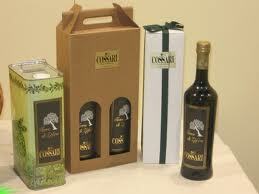 Note: The Cossari azienda caters to that consumer attentive to the quality of life it has chosen. 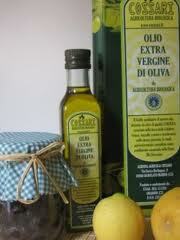 The olive oil produced by Cossari is not available in traditional stores, much less be found in supermarkets. Although the oil has been available in Canada from time to time, thanks mostly to personal initiatives, there has never been an official commitment to guarantee a steady supply and a steady delivery.